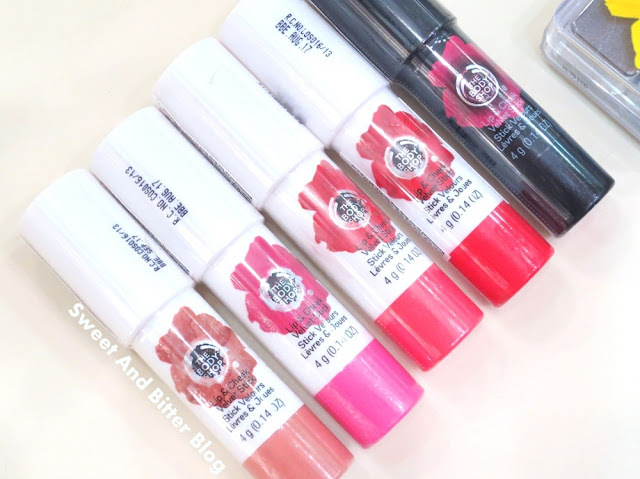 5 new The Body Shop Lip & Cheek Velvet Stick are now available in India. Along with the Poppy-inspired Blusher Brush, Iconic Shimmer Cubes Palettes in two lovely summery color sets. 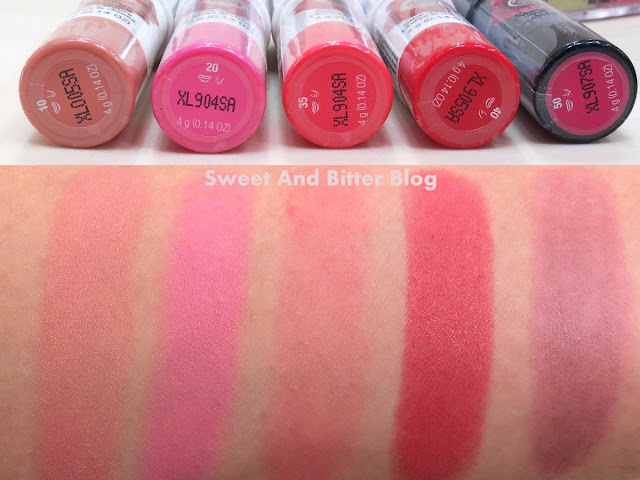 These were supposed to be part of Summer 2015 makeup trend with The Body Shop Smoky Poppy Collection but the bath and body products are yet to launch. Check out the swatch of the 5 new lip and cheek velvet sticks. 10 N*de and 20 Pink needs to built up for complete color. Had to swipe them few times for the colors to show. 35 Coral is the least pigmented of all whereas 40 Red is the most pigmented and you get full color in just one swipe. 50 Universal changes color depending on pH of skin. Priced at Rs 995 in India. Don't the look cute? But the price and pigmentation is bit let go. What do you think?